Syrian refugee Nageen Mustafa made headlines recently when, in an appearance on ABC News, she recounted how she learned English through the popular American soap opera Days of our Lives. There was a period where television and movies were the primary source of English education in the developing world. Western travelers often spoke with amusement of children in rural Latin American villages eagerly approaching them to do a perfect Travis Bickle or Maverick Mitchell impression. It is possible that western movies and television have done more to teach English to the developing world than any specific educational outreach. This is no doubt due in part to the sheer volume of screens and content that have been pushed out by studios over the decades, and continues to be delivered today with the advent of production accessibility and video hosting. But the volume itself isn’t the main driver. In many cases movies and television in the English learner’s native language are widely available, but don’t end up displacing the content that gets churned out by Hollywood. 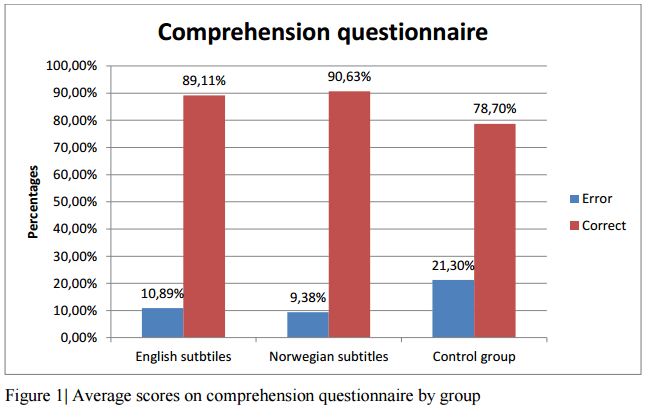 While some viewers no doubt watch American movies expressly to learn English, it’s likely that most second language viewers are watching films and TV for the same reason as English speaking audiences; they’re entertaining. As Robert Vanderplank put it in a paper frequently cited in studies of subtitled video content on language learning ‘no teacher, no classroom can provide the amount, the quality, the variety of language in interesting, meaningful and informative and often amusing contexts that television can.’ When Vanderplank was writing his paper in 1990, that was very true. 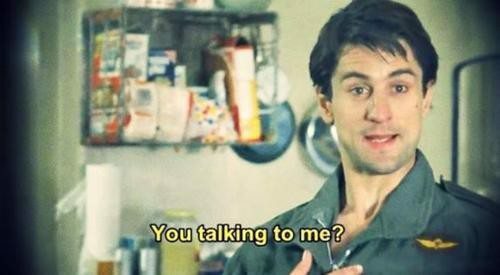 While the local studios in the Philippines no doubt created watchable television and movies, they weren’t likely as compelling as Taxi Driver or Top Gun. To a person wanting to understand and fully appreciate such compelling and visually stimulating motion pictures, it’s easy to imagine how the learning of a language comes so quickly. 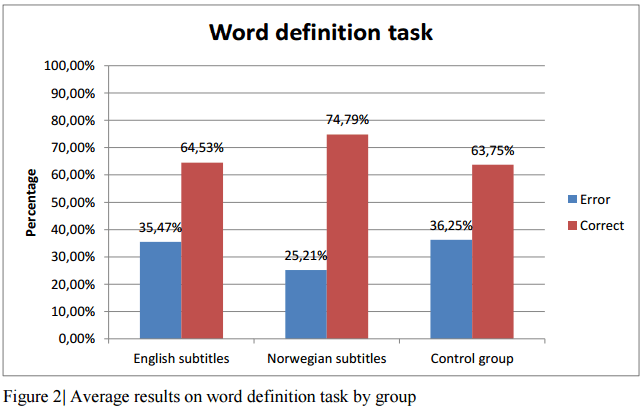 Research has confirmed that bimodal input (sound and video) increases comprehension and vocabulary in English language learners as compared to control groups. This comes as no surprise, and the teaching potential of bimodal input is something that has guided our creation of interactive language education software in Lingo Media’s EdTech Subsidiary ELL Technologies. Our language learning applications use bimodal stimulus to increase comprehension, and to keep learners engaged and interested. Modern interactive content goes far beyond the accidental English lessons found in feature films and television. We’ve put great care and attention into the quality of our content at all levels of instruction, and in all age categories. Naturally, bimodal input has come a long way since English students watched and re-watched VHS cassettes of old subtitled movies. ELL Technologies’ Speak2Me technology enables us to provide real time feedback to learners as they sharpen their vocabulary and pronunciation, naturally quickening the learning process, increasing retention and making the most of practice time. This has the dual effect of creating a gratification feedback loop, helping to keep the student engaged and productive, and freeing up the time of the teacher or tutor. Given the time to focus mostly on more advanced free-flowing conversation, or dynamic higher level English instructions, teachers tend to experience less fatigue and provide more dynamic and impactful training. ELL Technologies has a large library of digital content, enabling it to quickly and easily create curriculums that suit the needs of our customers and move their learners along quickly. ELL Technologies has secured contracts with a diversity of organizations, including municipal government in Colombia, the University of Guadalajara in Mexico, the Peruvian Navy, and SENA in Colombia, all of whom have benefited from customizable programs designed to engage their specific user base. We’re passionate about ‘Changing the Way the World Learns English’, and are constantly innovating to ensure that our products are achieving the necessary disruption and impacting real-life skills.